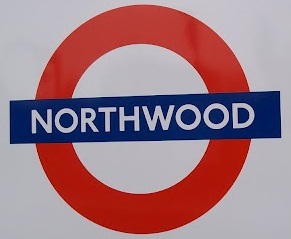 Northwood was recorded as Northwode in 1435 and was originally the name of a Wood and farm lying to the north of Ruislip. The present town dates chiefly from the construction of the railway c.1885. The station was opened as NORTHWOOD on 1 September 1887.